In Night Flight to Amsterdam, a millionaire's life depends on stealing another man's coat. In The Round Metal Tomb, a con escapes jail by being welded into a 44-gal drum. It seems the perfect ploy - until he discovers what the drum will be used for. In So Very Lifelike, the wife of a wealthy taxidermist takes a lover. And learns what it means to stuff things up. In Kidney Punch, a Mafia boss on dialysis makes the mistake of monstering a nurse. In the celebrated SF epic, The Justice Wire, there's a diabolical switcheroo you'll never see coming. In Come Down Killer, a gung-ho reporter ends up with a killer on top of an industrial chimney. Then there's Hot Shot, where who's up who becomes a matter of life and death. "...meaty stuff. Well written, thoroughly nasty and intriguing with nice shock endings." "A satisfyingly appalling feast of highly unpleasant events." "Worth it for 'The Sandman' alone. An award winning, sensitive and highly visual story with a universal theme that, some day, will inspire a lyrical movie." 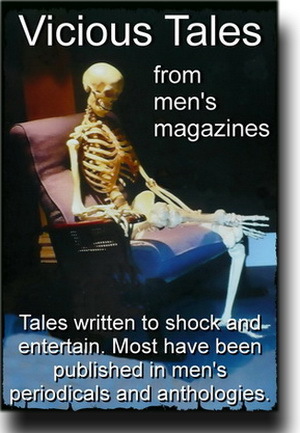 "...not all glossy women's mag romances here. There are others that are, let's say, challenging. A collection pitched at women of all hair colours and mentalities." "Work of impressive quality. Each story skilfully manipulates language and form to convey the central theme: 'the world behind what we take as reality'. A pleasure and an education to read."